Crafted with hand-poured paraffin wax, our industry-leading Miracle Flame™ candles combine style and function, emitting a warm, gentle flicker that is virtually indistinguishable from a real flame. Each candle comes with a universal remote for controlling your entire Miracle Flame collection. 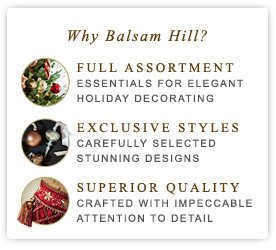 Balsam Hill inspires extraordinary celebrations with our stunning collection of flameless LED candles, luminaries, Christmas tree candles, and candle holders. The candles are equipped with our exclusive Miracle Flame™ innovation that mimics the flicker of real candlelight™ eliminating the mess of dripping wax or the hazard of an open flame. A seamless fusion of style and functionality, our Miracle Flame candles come with a universal remote that allows you to control brightness and speed. These versatile candles complement any holiday or themes from an enchanting Halloween evening and a warm Thanksgiving brunch to a cozy Christmas gathering. Our elegant luminaries and candle holders create a dazzling display both indoors and outdoors. Perfectly matched with our votives, tapers, and pillar candles, these decorative holders add a designer touch to your décor. Light up your steps with our lanterns and luminaries, or create unique centerpieces with our candle holders for those picture-perfect moments.